I ordered this bead back in February and it arrived this week just in time for Easter. I also bought the Confetti Upchuck by Ohm Beads but will feature that next week. The Russian Egg is so sweet. The detail on the top (bottom left) and bottom (bottom right) is delightful! First I tried it with some colourful Ohm Beads. The wooden bunnies are from Germany. All Redbalifrog beads have a large core, just like Ohm Beads, so they will fit on a Pandora bracelet. Next I tried it on the Trollbeads bangle. 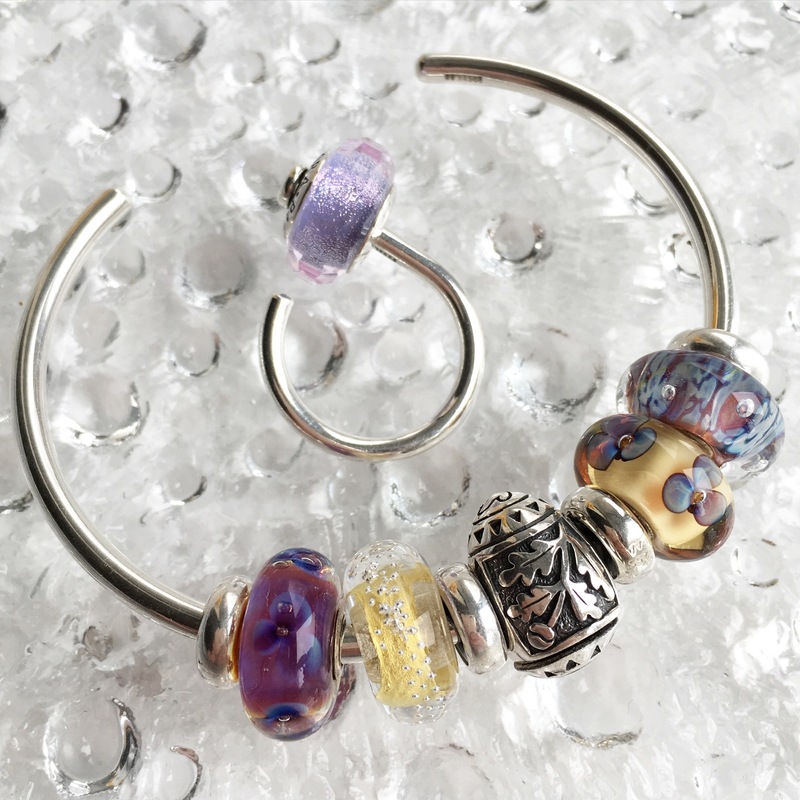 Near the top is the Pandora Purple Shimmer in between the Frangipanis Forever beads, with the Bare Locks on an Ohm Beads Twisted Bangle. But finally I settled on this combo. I so love yellow and purple together! Does anyone else have an Easter bracelet? And what do you put on it? What beautiful photos and bracelets. 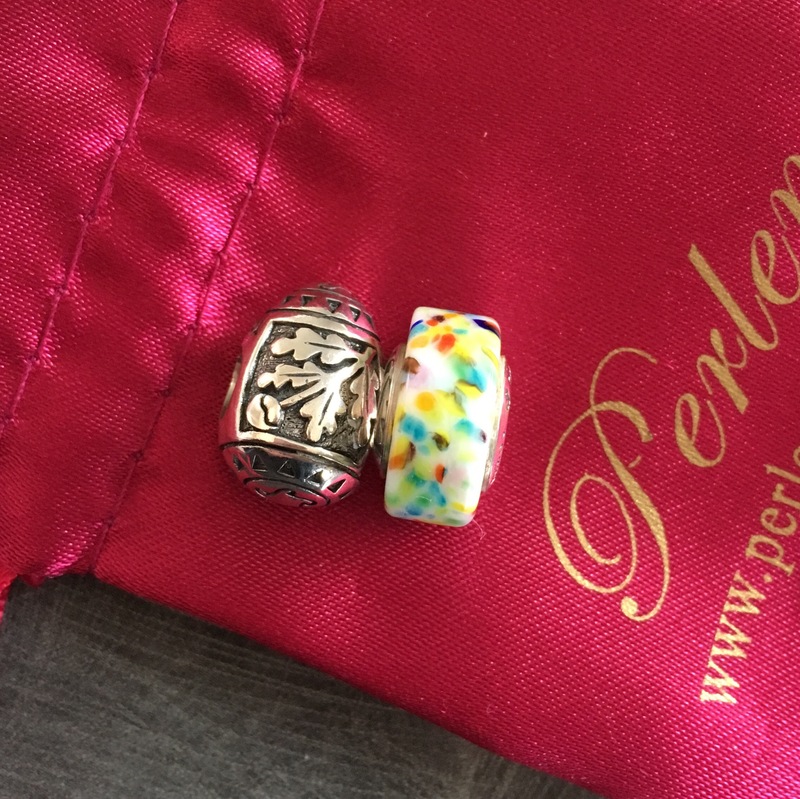 I love the Upchuck Confetti bead and your perfect, new egg, just in time for Easter! 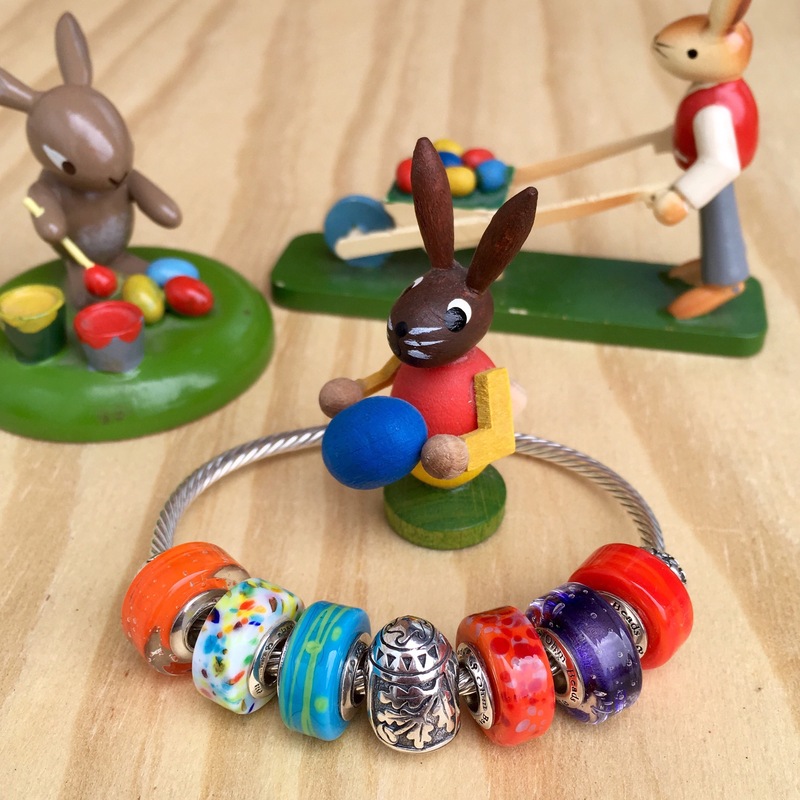 I am guessing that Troll beads don’t fit on the Ohm Twisted bangle either, but honestly , the final photo shows just how beautiful the Troll beads look all together on their own bangle with their guest egg. I guess I will have to invest in the Troll bangle to showcase my growing collection of Troll flower beads. This is a beautiful post to start my day. Thanks for taking the time to make so many beautiful combinations and take so many great photos ! Thanks Sarah. You are correct that Trollbeads do not fit on the Ohm bangle. If you are thinking of getting a Troll bangle, maybe wait for a promotion like the one coming up at the beginning of April. I don’t know if there will be a cost savings, but it would be worth waiting to see, I think. How timely! I’m actually in Russia now for work/vacation and I was planning on looking for a Russian egg charm! But I might try to find a Faberge egg dangle charm. 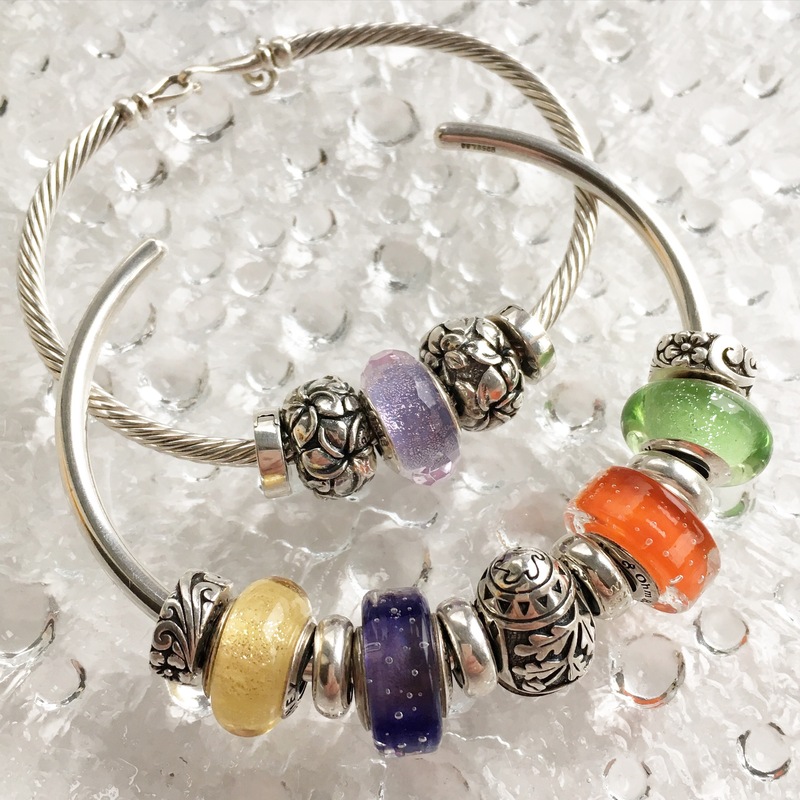 Your egg charm is cute though and I love the orange troll glass bead with purple/blue flowers – what is this bead called? Judie, that Trollbead is called Amber Violets. How cool that you’re in Russia! I’ve never been there! A few years ago we considered it as a side trip from Estonia but the visa process seemed really expensive and daunting so we didn’t bother. Have a great time and a safe trip home! Hi ! I am Vietnamese. 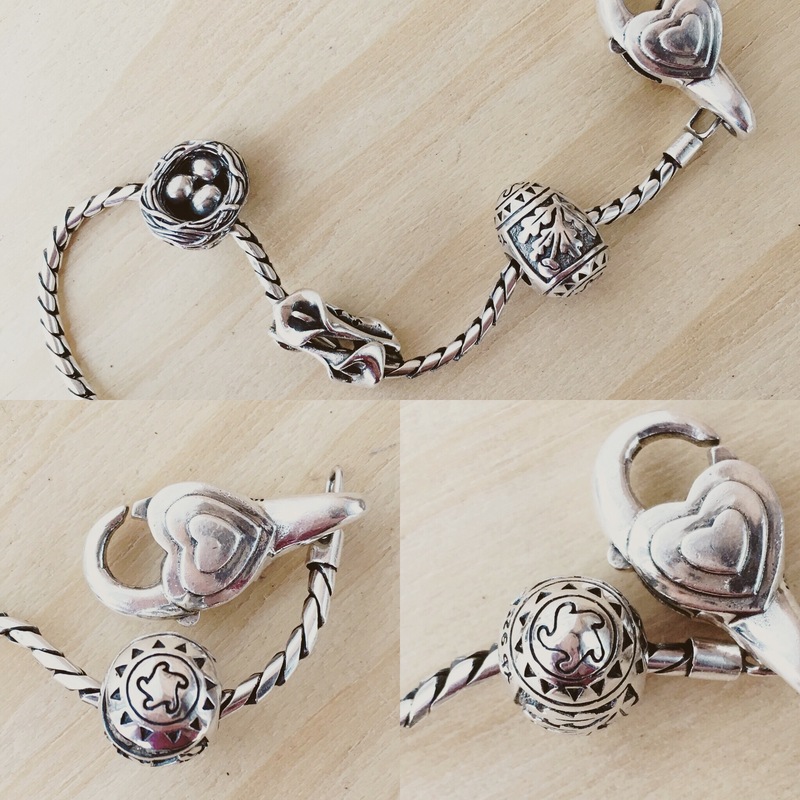 I like trollbeads very much. Can you help me find topper ? Hi! You should be able to find everything shown here at perlenodense.com. Let me know if you still have trouble!